Grn Mchn Multisports was born out of the belief that quality coaching should be accessible to all athletes. We aim to provide balance between the appealing price of a "cookie-cutter" coaching system and the fortune that many athletes dump into custom coaching. With Grn Mchn Multisports, you can rest assured that your season plan was hand-crafted to your specific needs as an athlete. We sit down with all of our athletes to develop a game plan for each major racing phase of the year. Coach Dan has been active in the world of multisports since 2002. 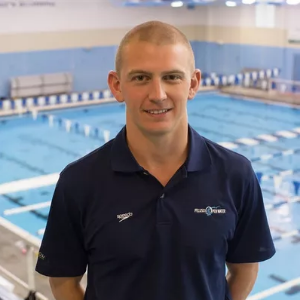 A former collegiate swimmer and runner, he turned his attention to triathlon after completing his undergraduate studies. Coach Dan coaches triathletes, masters swimming and is an Ironman University Certified Coach and USAT Level 1 Certified Coach. With a background in teaching, Coach Dan works with his athletes to determine where their energy is best used on course and likes his athletes to become students of the sport. Be prepared for some of the most thorough race pacing plans you'll ever read. His athletes have qualified for major events such as World Championships and the Boston Marathon. Coach Dan has been competing in ultra-distance triathlon since 2011 and found his way to the Big Island of Hawaii for the Ironman World Championships in 2015 and 2017. He also has an Ultraman Florifa finish to his credit. Athletes should be prepared with a GPS devices that tracks heart rate. While not required, a power meter is suggested. Success. Coach Dan Szajta has been notified of your message.